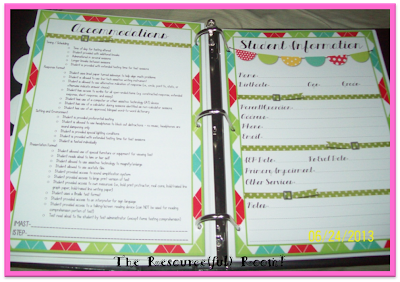 A Special Sparkle: Organizing Important Student Information. 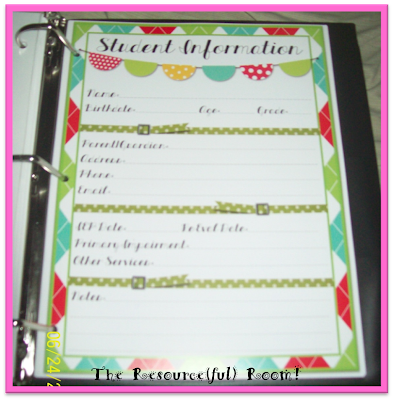 If you are like me you need a place to organize all the information you need about your students. I am always worrying I will miss an important due date, trying to find contact information for parents, or trying to dig up what accommodations a specific student gets when testing. I have files for IEPs and I can go get one out if I need to, but having everything in one easy to use file saves me a lot of time. 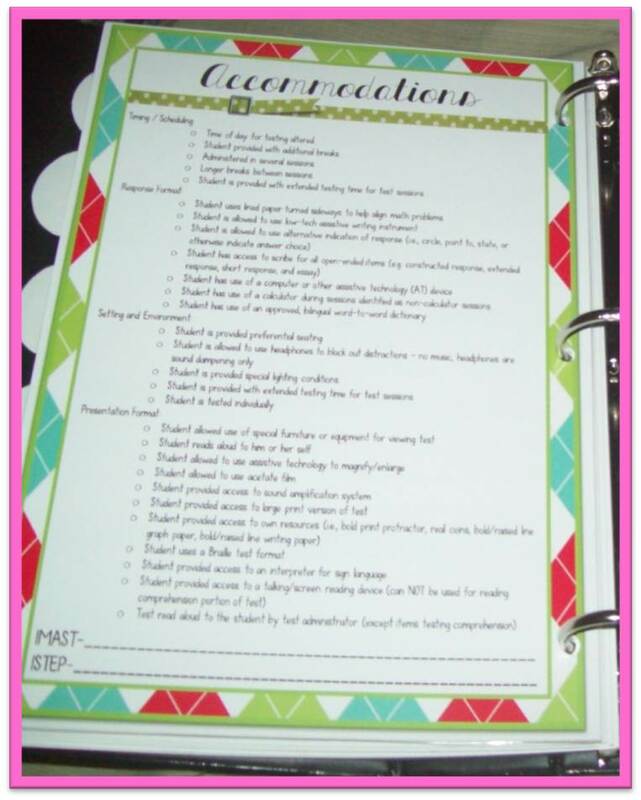 I came up with a student information sheet to put in my teacher binder that helps me keep each students information handy for those times I need to quickly look it up! These have been a huge time saver for me. It has a place to record personal information such as birth date, age, and grade, parent contact information, and important dates from the IEP. 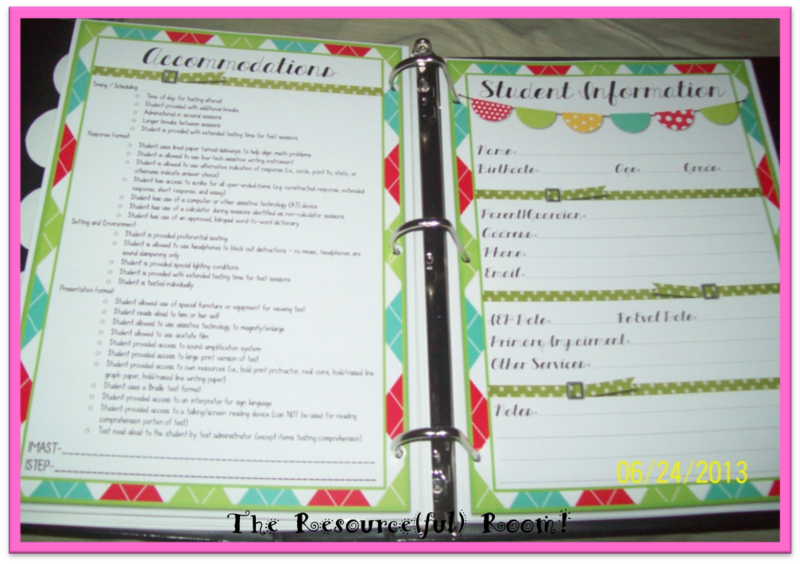 I also left some room for extra notes I might want to add such as "has a behavior plan", "alternate schedule", or "Dr. contact information" since those are things I commonly need to know about but every student does not need them. On the back I listed the accommodations we are allowed to give for our state testing in a checklist format so I can check off the specific one each student will receive. We use this list for all of our testing throughout the year. Last year I had such a hard time remembering who got to use a calculator, who got to read aloud to me, and who I could read to! I had to keep digging out IEPs and searching them to find the accommodations. I don't know what your IEPs look like but ours are not always user friendly, finding the accommodation page should be easy, but it's not!! This will make it so much easier to look up and keep track of. I had these printed front to back on a flyer from Vistaprint, you could print them front to back yourself or get them printed at Staples or Office Max. I like the "flyer" paper because it is thicker and lasts all year without tearing. I put them in the student information section of my teacher binder and use post-it tabs to label a sheet for each student. I love how easy it was for me to find everything I need right in one place. Then I could also place anything else I need for that particular student behind their information sheet and each students has their own section. This was a life saver for me last year and I am excited to have added the accommodations this year. 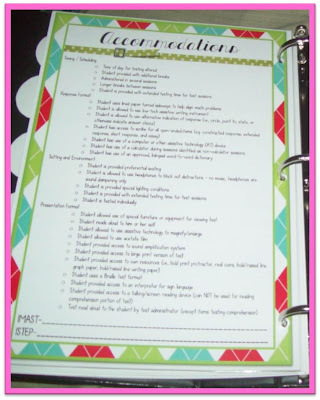 I hope some of you will find this useful in keeping organized this school year. You can download it free right here! My Autism Day: App Review! Hi everyone - it's Gabrielle! 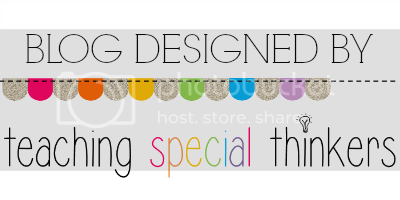 Welcome to A Special Sparkle! Look who's coming!! Your favorite bloggers! !